Arizona and Utah officials are asking US President Donald Trump to end a 20-year ban on uranium mining near the Grand Canyon, which came into effect in 2012 as part of a set of environmental protection rules passed during the Obama administration. 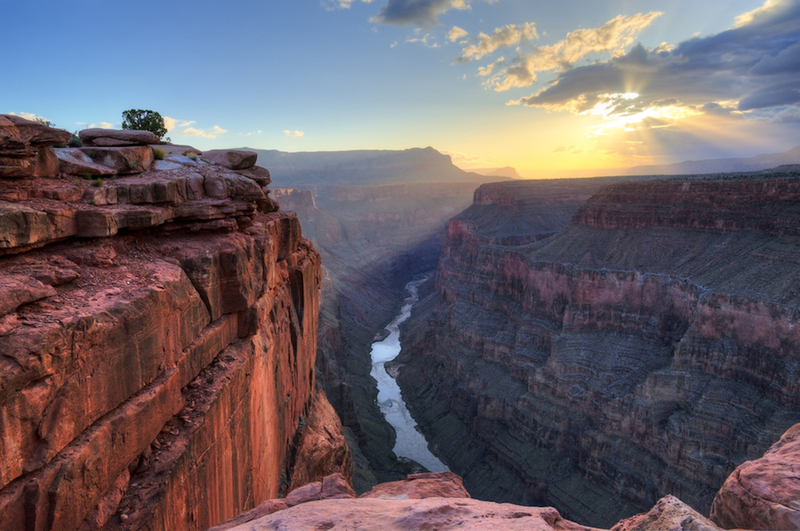 They are also pushing for the abolishment of national monument designations in Arizona, such as Grand Canyon-Parashant and Vermillion Cliffs. They argue those nominations have limited coal, natural gas and oil production in the area, severely hurting the local economy, Knau Arizona Public Radio reports. According to them, such prohibition was based on "overly cautious," speculative environmental risks. But supporters of the ban say new mining activity will likely boost the risk of uranium-contaminated water flowing into the Canyon. This is not the first time mining groups and politicians ask the federal government to withdraw the moratorium, which expires in 2032. Under former President Obama, there were a string of lawsuits filed against this decision, which ended with a 2014 court order to keep the prohibition in place. According to the ruling, revoking the ban would have resulted in the development of 26 new uranium mines and 700 uranium exploration projects, which would have consumed at least 1.2 billion litres of water, and negatively affected flora and fauna. Uranium resources in the so-called Arizona Strip represent about 40% of the US reserves. The yellow element was mined there, mostly across the vast Navajo Nation reservation — from western New Mexico into Arizona and southern Utah —, for use in the government's nuclear weapons program during the Cold War, causing extensive environmental damage.